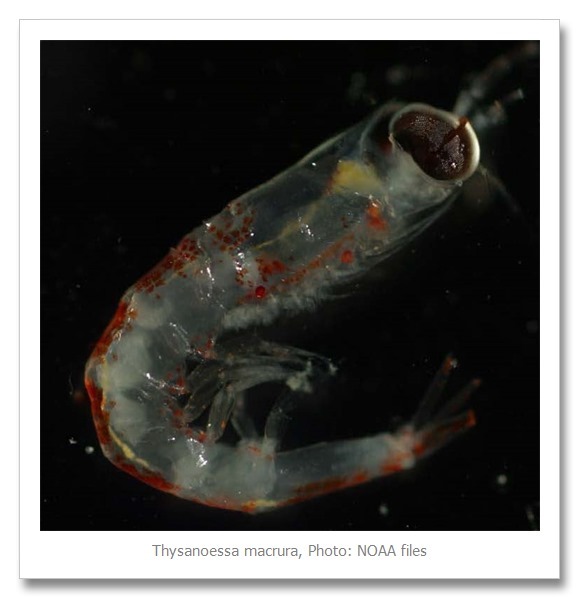 On this cruise, I am a member of the zooplankton team. 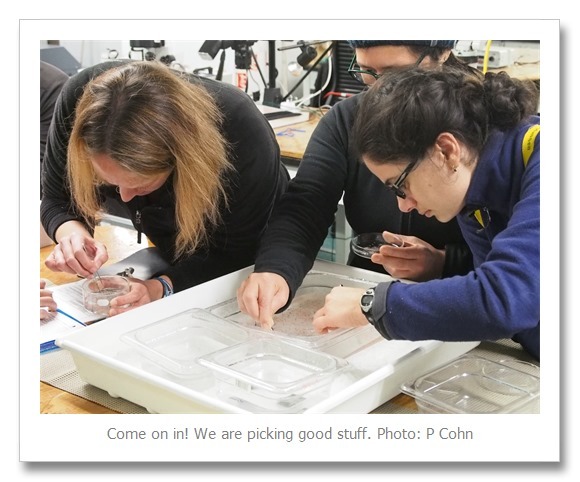 Team zooplankton works 12 hour shifts, scattered such that every two hours there is a shift change. I work the noon to midnight shift. It’s a pretty good shift. I get to see daylight in the morning before my shift starts and I get to keep a fairly normal schedule. 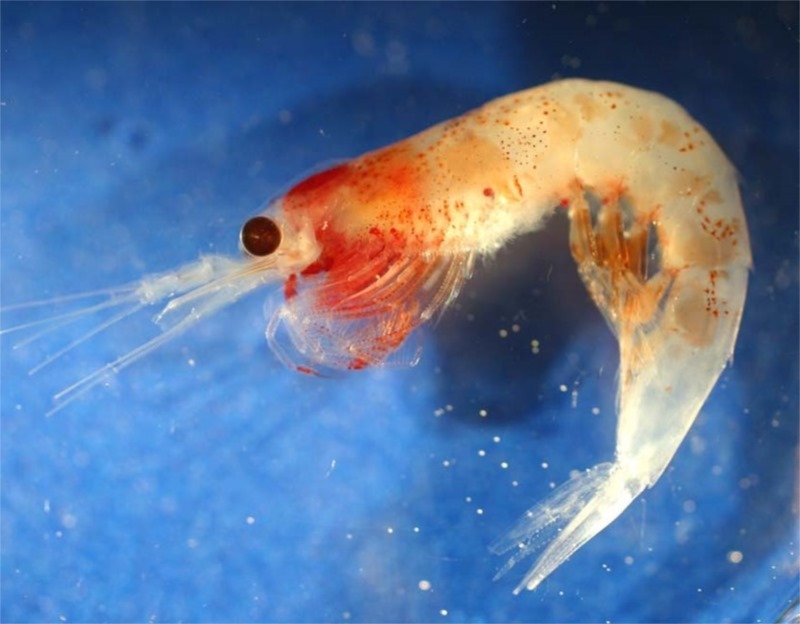 I haven’t looked at zooplankton since my undergrad days. 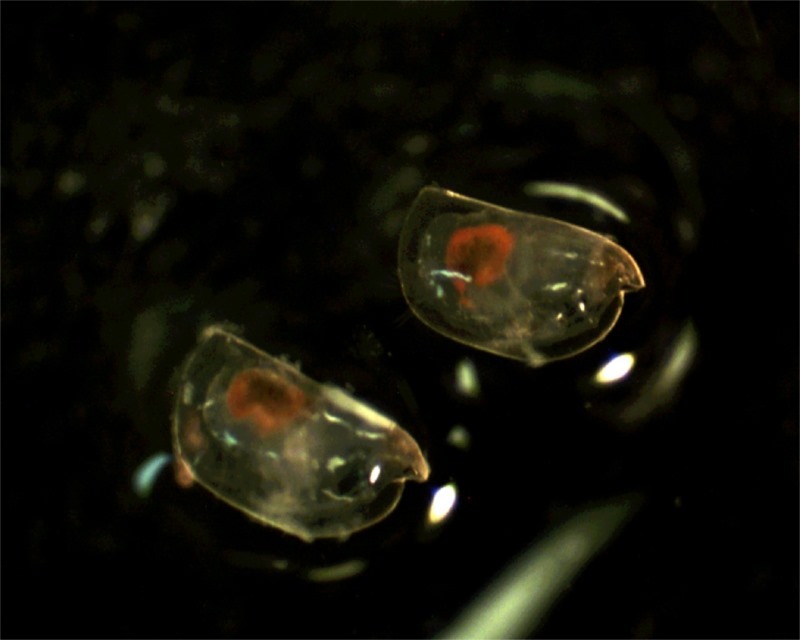 We had two days of pretty intensive training which was good, but they still look like exciting tiny aliens. 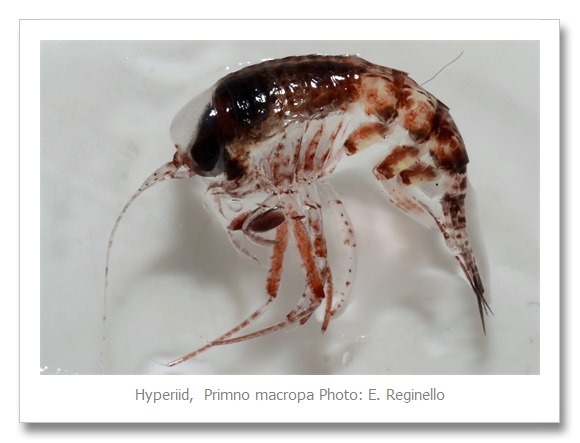 Actually the scary monsters from “Alien” were based on hyperiid amphipods. 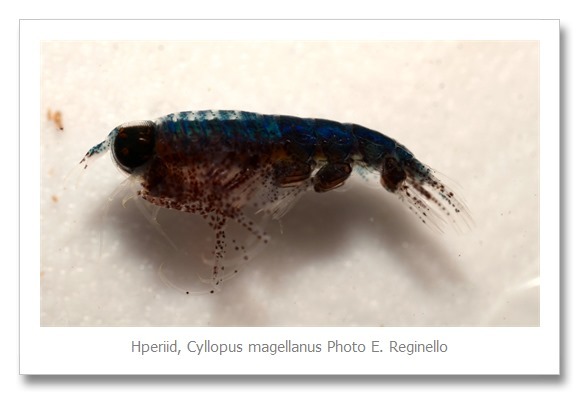 What’s a hyperiid amphipod? 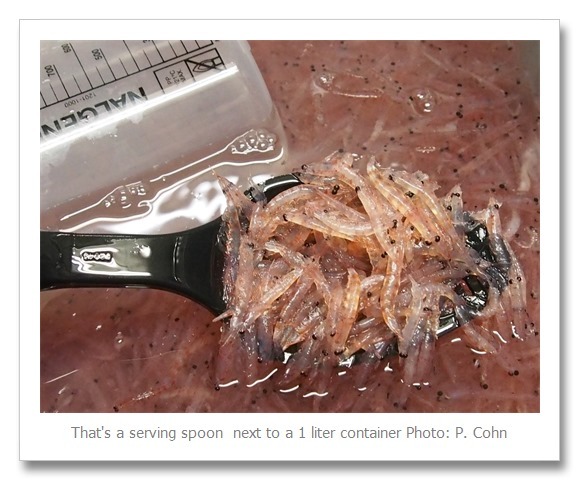 Well it is something adorable in a petri dish, but it would be absolutely terrifying if it were human sized! So lets have a look in the microscope. 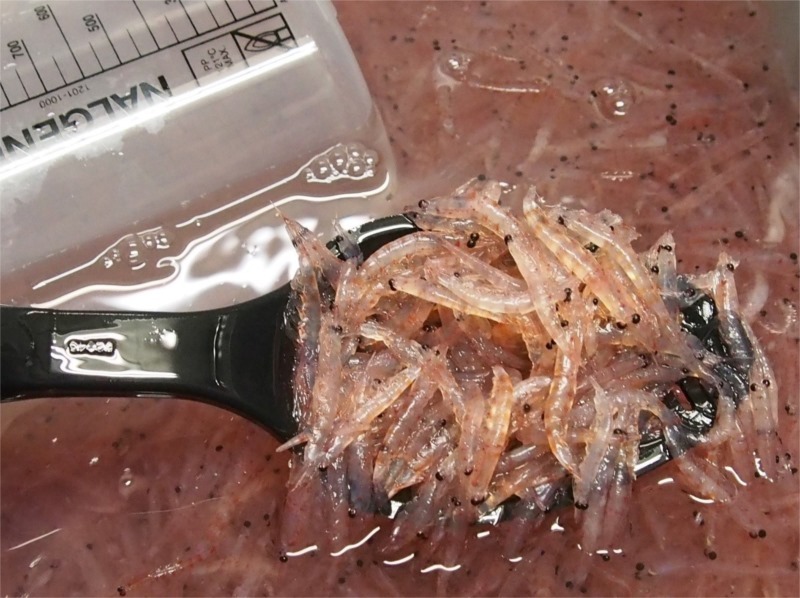 Primno is very common in our catches. It has massive claw like paddles on its front legs. It would be a terrifying beast! 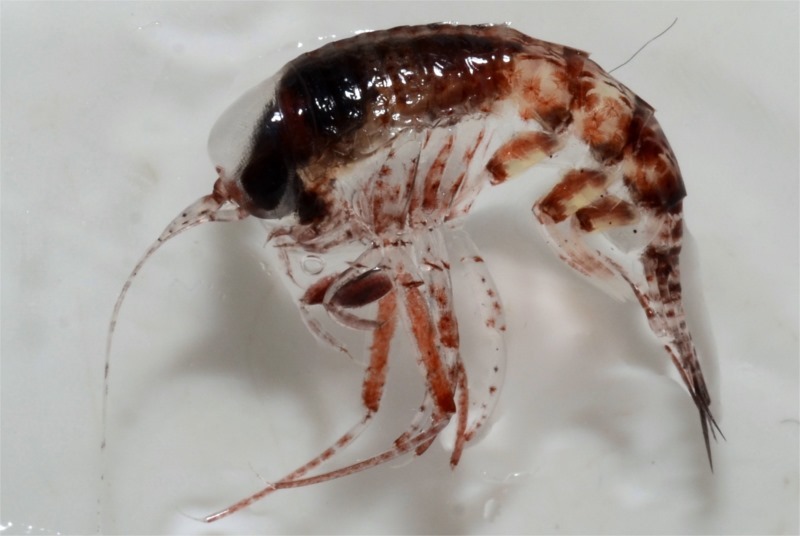 Cyllopus is another hyperiid, but it tries to trick you into feeling safe with its pretty metallic/mother of pearl stripe on its back. Pretty in petri dish, terrifying at human size! Hyperriids are basically the stuff of nightmares. They have an enormous eye that takes up most of their head, then they have lots of pokey-stabby legs, some of which have been modified into claws. 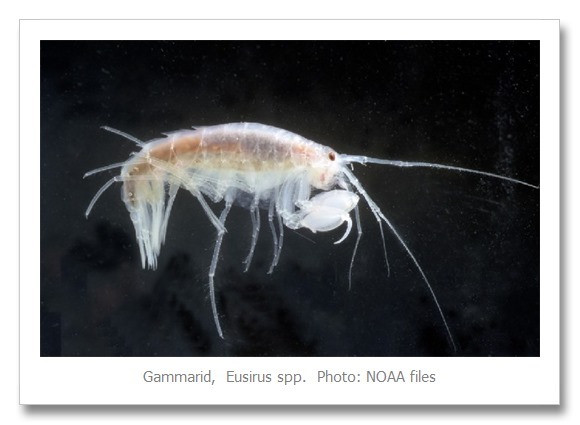 Moving on, we have the closely related, but not as terrifying gammarid amphipods. They have much more reasonably sized eyes. It makes all the difference. See? Doesn’t this Eusirus look much more friendly than the Primno? 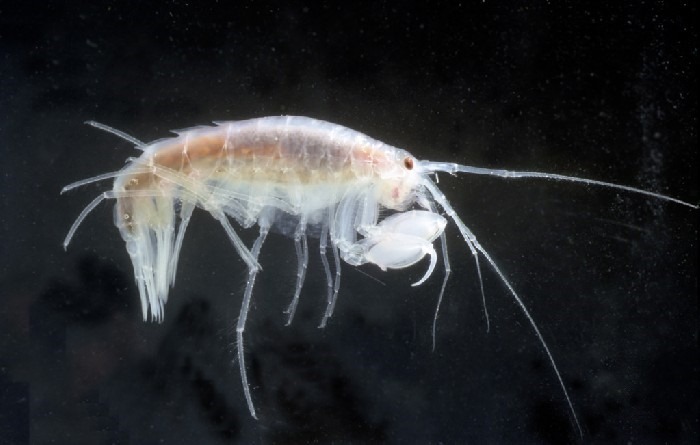 If you remember way back to intro to biology, you’ll note that amphipods are crustaceans, like shrimp and crabs. 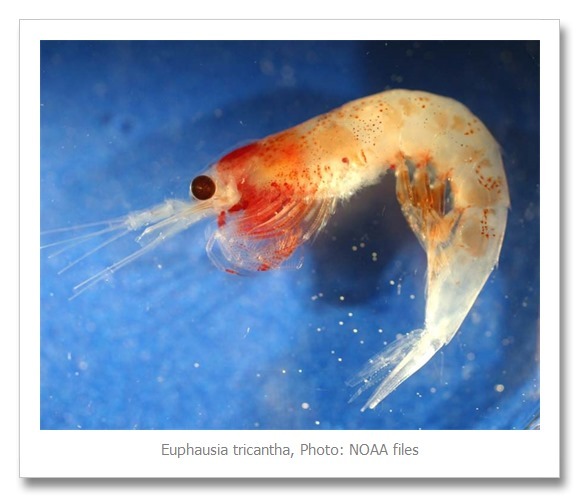 But did you know that this thing is also a crustacean? 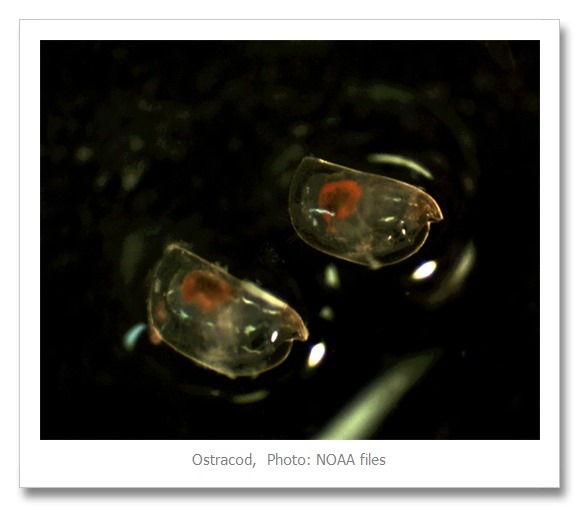 Yup that there is an ostracod. It kind of looks like a clam that ate a shrimp and that is the sum total of what I know about them. 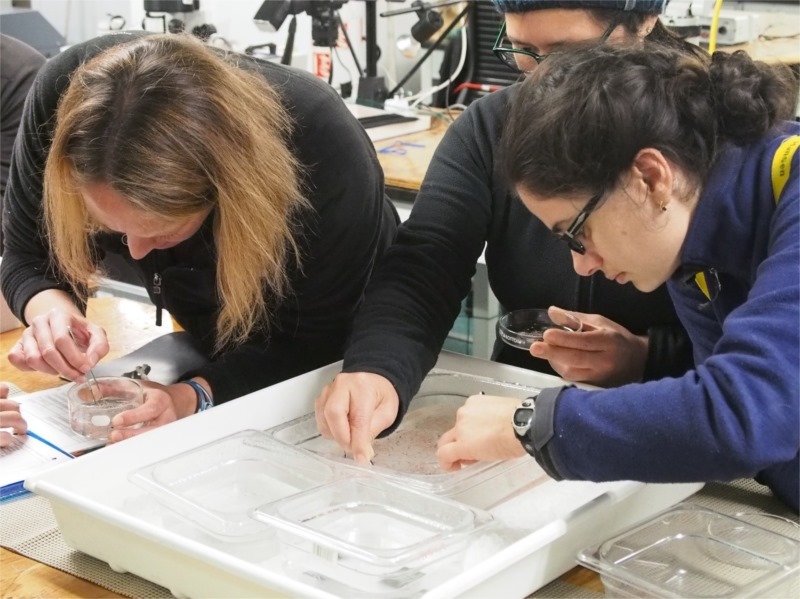 We see a lot of ostracods. 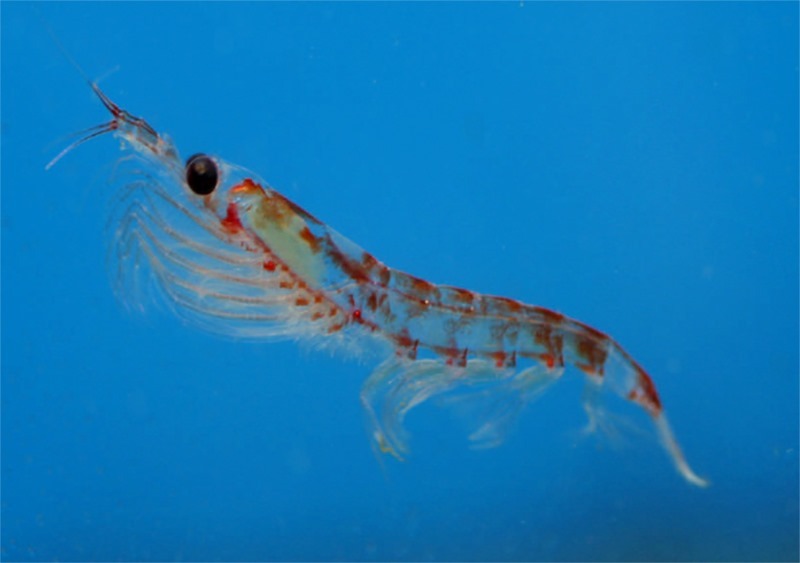 I have counted over 1,000 of these little dudes in a small 4 milliliter sample. It takes forever! 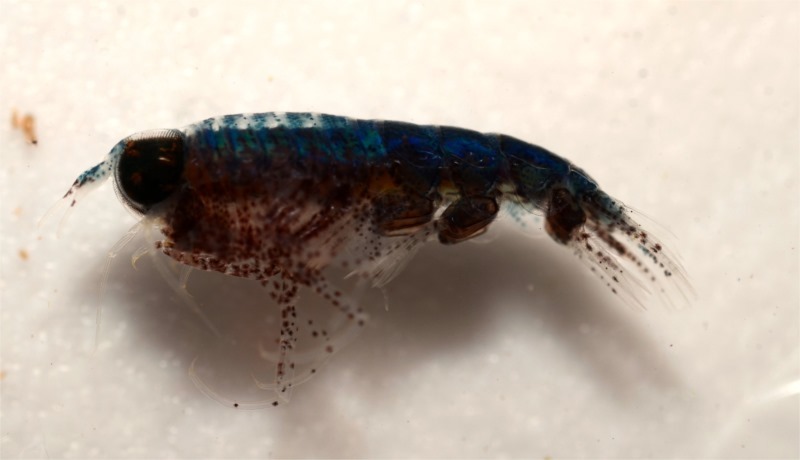 With the exception of the big C. propingqus, they all just get called “copepod unidentified”. 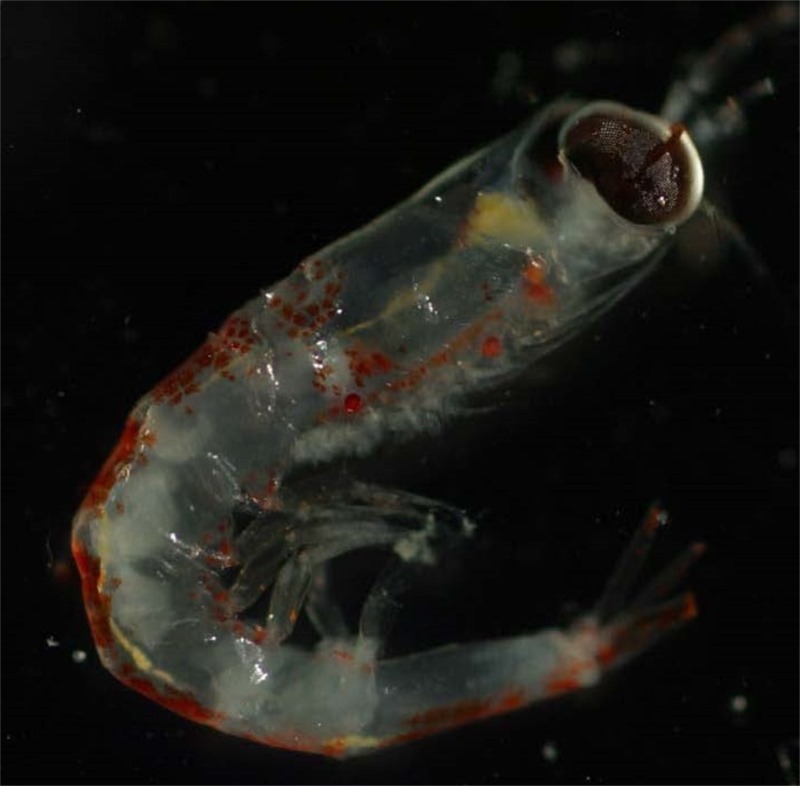 Down here in the Southern Ocean, there is but one true krill. All others are merely imposters. 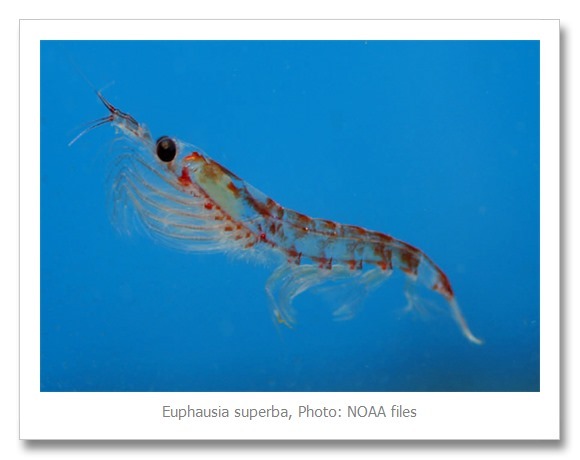 That one krill to rule them all is Euphausia superba. See, even its Latin name tells you it is superb! Whew that’s a lot. And I haven’t even shown you the cool fish and jelly creatures. But, that is for another day.